The article about the IQRF industrial gateway family from IQ Home, member of the IQRF Alliance, is available. 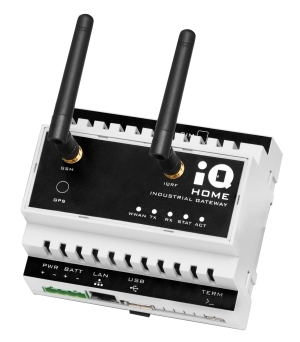 IQ Home is a Hungarian company which released a family of industrial gateways running the IQRF wireless technology on the market. Industrial gateways offer a wide range of features used by professionals in various fields of use such as a harsh environment where reliability is the key. More about industrial gateways by IQ Home here. The full article is available on IoT Network News.